James Montier, who works at the intersection of value investing and behavioral investing (Author of ‘The Little Book of Behavioral Investing’ http://amzn.to/X9Olzc on Amazon among others) has a great quote in his latest white paper published by GMO Global Investment Management entitled “The 13th Labour of Hercules:Capital Preservation in the Age of Financial Repression” Note that you may have to register at the site (free). 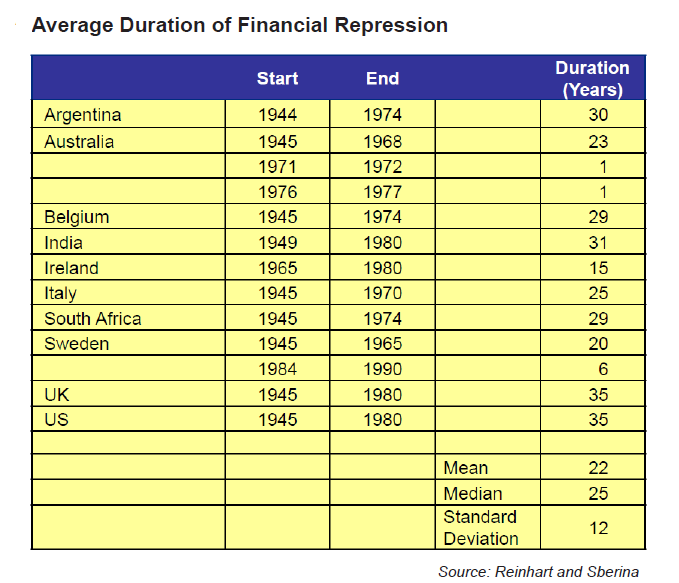 The paper goes into depth on the effects of financial repression on investments, which grow the longer the repression lasts, up to twenty years. Does the phrase: “… for an extended period” ring a bell? How about QE1, QE2, QE3, and now QE-infinity? Zero interest rates and apartment building investment. First my condolences to Bill Gross on the loss of his brother-in-law. Reading his piece in PIMCO’s latest Investment Outlook it is clear that the world’s biggest bond manager is running out of places to generate returns for their investors and by extension this applies to all income investors, especially retired people trying to live on interest income. For those would like to retire soon you may have to delay that decision for “an extended period’ as Edward Harrison over at Credit Writedowns put it in Permanent Zero and Personal Interest Income. Gross’ points out that the Fed’s zero interest rate policy (ZIRP) which they have just announced to maintain through 2014 and their defacto though opaque continuation of quantitative easing (QE2.5 as he tweeted it) threaten to take us into another dimension where their policies have the opposite effect of their intentions. ​ Recent central bank behavior, including that of the U.S. Fed, provides assurances that short and intermediate yields will not change, and therefore bond prices are not likely threatened on the downside. Most short to intermediate Treasury yields are dangerously close to the zero-bound which imply limited potential room, if any, for price appreciation. We can’t put $100 trillion of credit in a system-wide mattress, but we can move in that direction by delevering and refusing to extend maturities and duration. 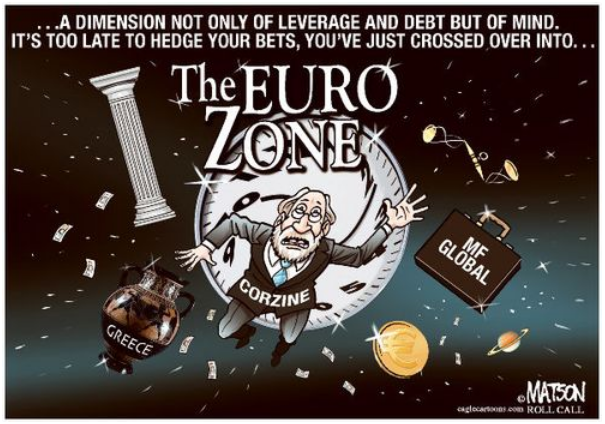 For more views on this and Europe too see also Entering the Debt Dimension from Phil’s Picks on the Phil’s Stock World Blog. What does this mean for Multifamily?